Judge London Steverson has written the story of his life. Trying to write a book about my life is like trying to describe the landscape by looking out the window of a moving train. The events continue to unfold faster than one can describe them. My life is a work in progress. For this reason I have decided to look at my life in phases that have a clearly defined beginning and an end. In this book I intend to describe that part of my life that was shaped by my involvement in the Martial Arts. 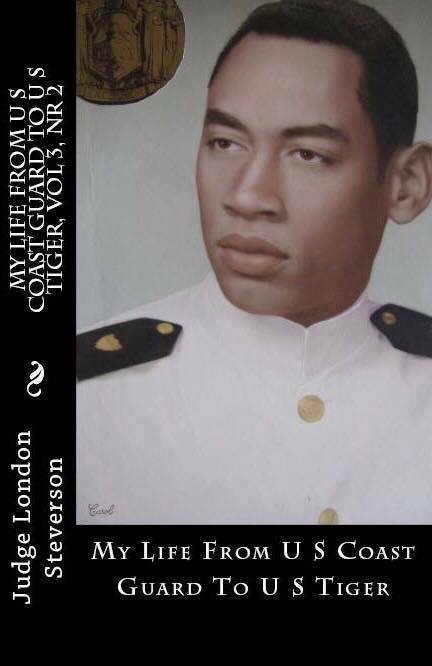 I, London Eugene Livingston Steverson retired from the United States Coast Guard in 1988 as a Lieutenant Commander (LCDR). Later, I retired from the Social Security Administration (SSA) as the Senior Administrative Law Judge (ALJ) in the Office of Disability Appeals and Review (ODAR) Downey, California. 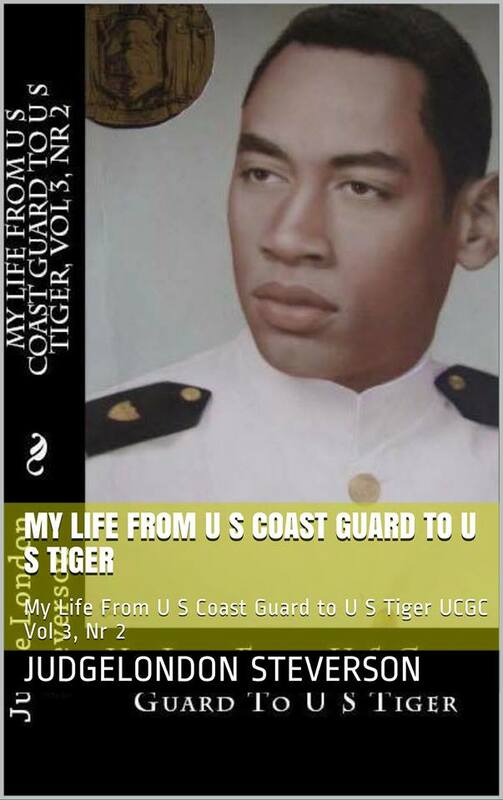 In 1964, I was one of the first two African Americans to receive an Appointment as a Cadet to the United States Coast Guard Academy in New London, Connecticut. I graduated in 1968. After two years at sea on an Icebreaker, the USCGC Glacier (WAGB-4), and another two years as a Search and Rescue Operations Officer in the 17th Coast Guard District Juneau, Alaska, I was appointed Chief of the newly formed Minority Recruiting Section in the Office of Personnel at Coast Guard Headquarters, 7th and D Street, SW, in Washington, DC. My primary duty was to recruit Black High School graduates for the Coast Guard Academy. This was my passion, so I set about this in a most vigorous manner. I have written several books concerning Military Justice, famous Courts-martial Cases, and Social Security Disability Determination Cases. I am a retired member of the New York State Bar Association, The Association of The Bar of The City of New York, and The Tennessee Bar Associations. A Presidential Executive Order issued by President Harry Truman had desegregated the armed forces in 1948, but the military academies lagged far behind in officer recruiting. President John F. Kennedy specifically challenged the Coast Guard Academy to increase appointments to qualified Black American high school students. I was one of the first Black High School students to be offered such an appointment in 1964. I had a Black classmate from New Jersey, Kenny Boyd. We would become known as “The Kennedy Cadets”, because the pressure to recruit us originated with President John F. Kennedy. On June 4, 1968, I graduated from the Coast Guard Academy with a Bachelor of Science degree in Engineering and a commission as an Ensign in the U.S. Coast Guard. My first duty assignment out of the Academy was in Antarctic research logistical support. In July 1968 I reported aboard the Coast Guard Cutter (CGC) Glacier (WAGB-4), an icebreaker operating under the control of the U.S. Navy. I served as a deck watch officer and head of the Marine Science Department. I traveled to Antarctica during two patrols from July 1968 to August 1969, supporting the research operations of the National Science Foundation’s Antarctic Research Project in and around McMurdo Station. In 1974, while still an active duty member of the Coast Guard, I entered The National Law Center of The George Washington University. I graduated in 1977 with a Juris Doctor of Laws Degree. I worked as a Law Specialist in the 12th Coast Guard District Office, San Francisco, California and as an Assistant U. S. Attorney for the collection of Civil Penalties under the Federal Boating Safety Act from 1979 to 1982. As Assistant District Legal Officer, I was required to defend as well as prosecute military members who had been charged with violations of the Uniform Code of Military Justice (UCMJ). Occasionally I was asked to represent other officers in administrative actions involving sexual harassment and discrimination. One such case was the Case of Christine D. Balboni . Ensign (ENS) Balboni was one of the first female graduates of the Academy, Class of 1981. She filed the first case of Sexual Harassment case in the military.